The Wales international was forced out of Tuesday’s training session because of an ankle complaint, but his coach played down its severity. 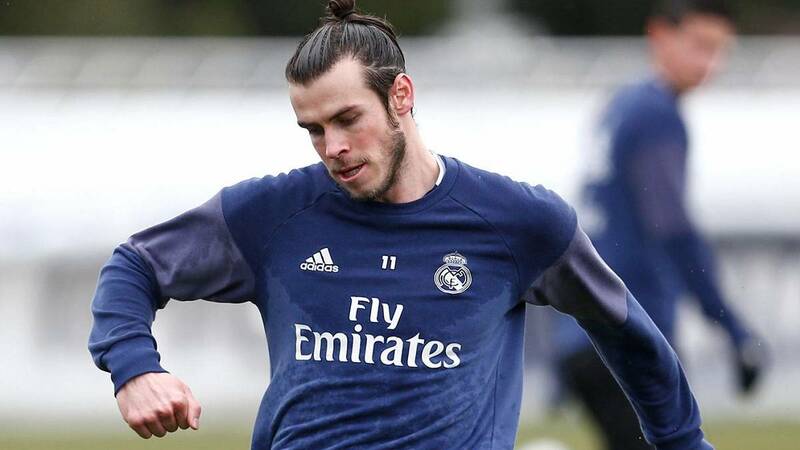 Real Madrid coach Zinedine Zidane insists that he is not worried about Gareth Bale’s fitness after the Wales star picked up a knock in training. Bale was seen departing Madrid’s session at Soldier Field on Tuesday with obvious discomfort in his right ankle. The 28-year-old missed long spells of last season with calf and ankle problems and the latest worry prompted concern among supporters on social media, with the UEFA Super Cup clash with Manchester United just a week away. However, Zidane is confident that Bale has been showing encouraging signs both in terms of fitness and form during pre-season. “He looks good to me, little by little,” he told a news conference ahead of Madrid’s clash with an MLS All-Star team on Wednesday. “He’s had a long injury. Next Next post: Bale <-> De Gea swap incoming?